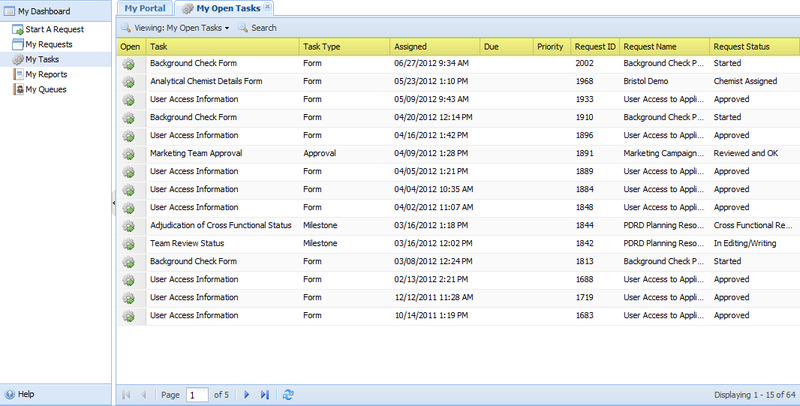 Select 'My Tasks' from the left-side navigation pane to access all of your tasks. Once you have opened your tasks, you can select any column header (Task, Task Type, Assigned, Due, Priority, Request ID, Request Name or Request Status) to sort ascending or descending. 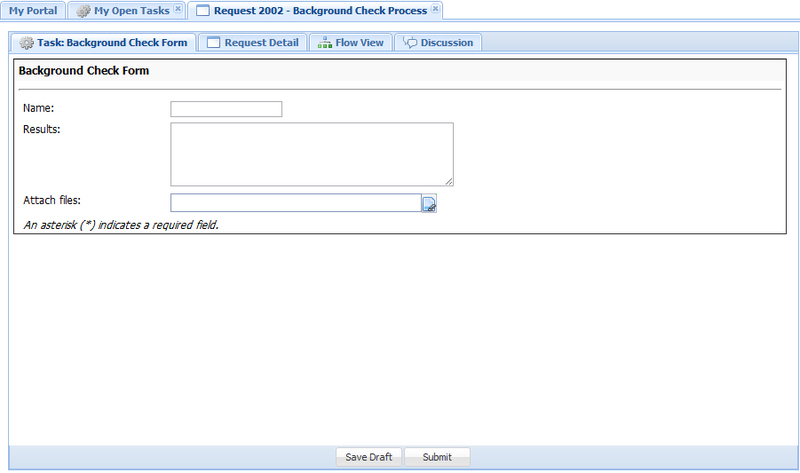 You can also select Search and filter your tasks.